The health and fitness industry’s first comparison website has launched, to help operators secure a range of quotes for the equipment they need; 24/7, all within a few clicks. 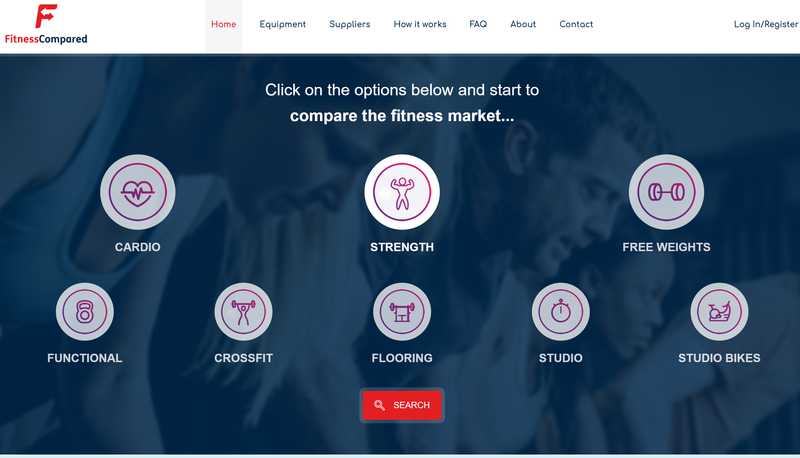 FitnessCompared brings together many of the sector’s leading equipment manufacturers and suppliers, offering an impartial platform where operators can quickly and easily compare the attributes and cost of like for like equipment. Industry stalwart and Managing Director, Daniel Jones explains: “We’ve been developing this bespoke online platform for two and a half years, working tirelessly with the major fitness equipment manufacturers to ensure buyers have access to their extensive product portfolios and pricing, without the need for time-consuming online research and to minimise face to face meetings. Whilst FitnessCompared is totally independent from the equipment providers it features, suppliers have full ownership over the products and pricing they upload to the site. The platform’s algorithm creates quotes based on like for like comparisons of the different brands represented, dependent on the spec chosen by the gym operator. The site also includes a review system, allowing customers to rate suppliers across experiences in six key areas, including product design, reliability and durability and after sales/service, to help other buyers with decision making. FitnessCompared is a sister company of WeBuyGymEquipment.com, an international buying and selling platform for used gym equipment that launched three years ago and is now the most recognised commercial used fitness equipment bidding platform. To find out more visit www.fitnesscompared.co.uk.